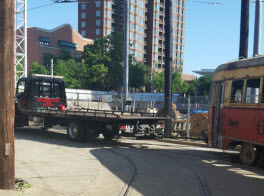 Welcome to Citywide Towing, your professional towing specialists in Dallas County, Texas and surrounding areas. 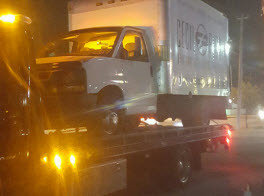 At Citywide Towing, we proudly offer reliable towing services at competitive rates in cities such as Addison, Balch Springs, Carrollton, Cedar Hill, Cockrell Hill, Combine, Coppell, Dallas, DeSoto, Duncanville, Farmers Branch, Ferris, Garland, Glenn Heights, Grand Prairie, Grapevine, Highland Park, Hutchins, Irving, Lancaster, Lewisville, Mesquite, Ovilla, Richardson, Rowlett, Sachse, Seagoville, Sunnyvale, University Park, Wilmer and Wylie. Contact us for all your towing and roadside assistance needs! 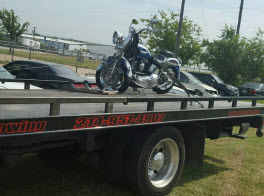 24/7 Flatbed, Wheel Lift & Dolly Tows for Cars, Trucks, Vans & Motorcycles in Greater Irving, TX! We provide quality towing services for automobiles, motorcycles, trucks, motor homes, RV’s, commercial vehicles, and much more! At Citywide Towing, our fleet of tow trucks are well maintained and our knowledgeable service providers are well trained and experienced. At Citywide Towing, we offer quality road side services to motorists in Greater Dallas, Texas at affordable price points. Our service providers will arrive promptly to offer you premium 24/7 roadside assistance services including flat tire repair, fuel service, jump start, lockout service and much more when you need us the most. Involved in an accident? Don’t panic, we can safely move your vehicle and tow it to the location of your choice. If your battery isn’t working and you require your vehicle to be towed to your mechanic, we can assist you. When it comes to vehicles, anything can happen from car breakdowns to accidents. You can rely on the experts at Citywide Towing to help you when you are in a bind. We guarantee prompt, friendly professional services that won’t break the bank. At Citywide Towing we strive to ensure that all emergencies are taken care of quickly by providing well trained and experienced drivers, towing specialists and service providers. Our caring personnel understand that you are in a stressful situation and will respond with professionalism and caring compassion. We offer fast accident response! We are a cut above our competitors when it comes to providing heavy duty towing services, in fact our heavy duty towing services include towing commercial trucks, RV’s, motorhomes and other heavy duty vehicles. Our 24/7 emergency services means that we can be counted on day or night, to deliver fast and efficient towing services when you need them the most. 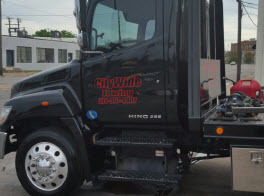 Citywide Towing provides long distance towing services for lightweight and medium duty vehicles. Generally speaking, long distance towing is considered 100 miles or more. The best method of transporting vehicles long distances involves the use of flatbed truck which will eliminate expensive wear and tear on your vehicle. 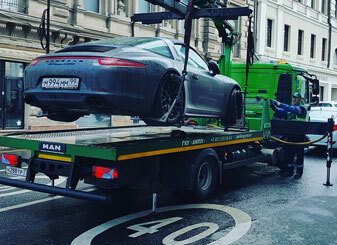 At Citywide Towing, we understand that moving a vehicle requires care and precision. We treat every vehicle the way we would our own and we make sure all of our tows are completed the right way. We take our commitment to each customer seriously so you can be assured that when we move your vehicle, your vehicle is in the best possible hands. Stranded Motorists in Greater Richardson, TX; Contact Us for All Your Road Side Needs! For more information regarding 24/7 Emergency Towing, Light, Medium & Heavy Duty Towing, Car, Truck, Van & Motorcycle Towing, Local & Long Distance Towing, Roadside Assistance and more in Dallas County, Texas, contact the knowledgeable experts at Citywide Towing today.